We Laminate Ours So They Hold Up, Others Do Not!! These will work on all left and right hand drive Porsche 986 Boxster models including the Boxster S. Check out our many other matching interior products for the Boxster models as well. These will fit any 1997-2004 Boxster or Boxster S 986. 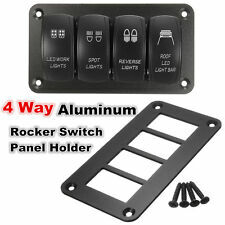 Manufacturer Part Number: 98655223300. Chassis: 986. Model: Boxster. Make: Porsche. Color: silver. Manufacturer Part Number: 99661353500. Chassis: 986. Model: Boxster. Make: Porsche. Color: silver. Porsche Boxster / Cayman / 997 4 stalk steering switches. In great condition complete as pictured. 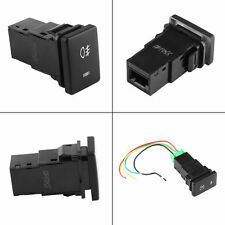 Fits 987 Boxster / Cayman and 997 Carrera from 2005-2012. 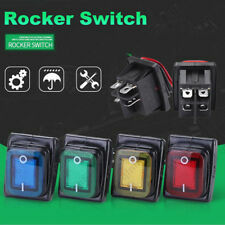 "OES Genuine Turn Signal Switch --. 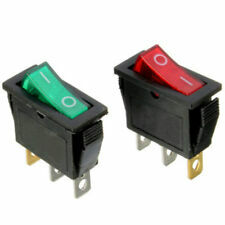 OES GENUINE TURN SIGNAL SWITCH. Condition : New. Therefore all implied warranties that may apply to your part are limited to the duration of this written warranty. Pictures of a touchscreen will not get you a complete screen & radio conversion. PORSCHE BOXSTER 1997 -1998 receiver, AM-FM-stereo-CD (CDR-210). The warranty period starts when you take possession of the part. 991 generation 2012.5 - 2019 911 Carrera (all versions), 911 Turbo, & GT3 models. 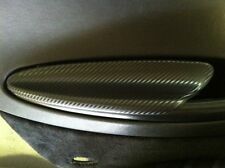 PORSCHE BOXSTER 2005 -2006 amplifier, w/Bose audio system, ID 99764533422. Pictures of a touchscreen will not get you a complete screen & radio conversion. PORSCHE 911 2005 -2005 997 model, amplifier, w/Bose audio system, Carrera S, from VIN 741124. 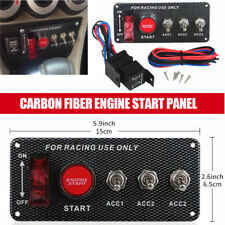 Manufacturer Part Number: 99761353501. Model: 911. Make: PORSCHE. Removed from 2008 PORSCHE CAYENNE TURBO. We normally reply within 12 hours. Chassis: 996. Model: 911 Carrera. Make: Porsche. SKU: 19084-L/H SEAT SWITCH. 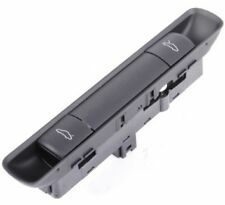 Manufacturer Part Number: 19084-L/H SEAT SWITCH. 2005-2008 Boxster & Boxster S with PCM. 2006-2008 Cayman & Cayman S with PCM. 2005-2008 Carrera all models with or without PCM. Removed from 2006 Porsche Cayman S 3.4L with 37k miles. Porsche Boxster 2009 Base, S, S Porsche Design 2 2.9L H6 - Gas, 3.4L H6 - Gas. Porsche Boxster 2012 Base, S, S Black Edition, Spyder 2.9L H6 - Gas, 3.4L H6 - Gas. 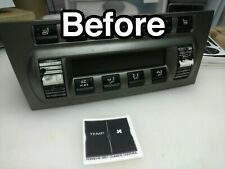 Pictures of a touchscreen will not get you a complete screen & radio conversion. PORSCHE BOXSTER 2005 -2008 receiver, w/o video monitor; AM-FM-stereo-CD (CDR-24). PORSCHE 911 2005 -2005 997 model, receiver, w/o video monitor; (AM-FM-stereo-CD, CDR-24). 2014-2016 Macan. 2011-2016 Cayenne. Genuine Porsche Electronic Ignition Switch PaintedSilver for Porsche models with Entry & Drive option. Either unused or very gently used condition in its original box. Boxster 987 (2005-Present). Boxster 986 (1997-2004). Boxster (2005-2008). Up for sale is an originalradio switches from a01 Porsche Boxster S. 2001 Boxster. Manufacturer Part Number: 98661312001. Chassis: 986. Model: Boxster. Make: Porsche. Color: silver.